A Big Warm ‘Welcome Back’ Hello! While tendonitis kept me from happily tapping away my sojourns, it did not keep me from making them 🙂 While I travelled to some new places and saw some old ones in a new light, I also ruminated on our wedding celebrations as we celebrated our togetherness! I do hope my reflections will not only make up for the silence but grease the wheels back into action. Indian weddings are not exactly known for their brevity and owing to this fact and then some, the bride and groom are the ones who least enjoy their own wedding (well, we do have our moments but then). At the same time they are also the closest observers of the happenings -fortuitous, funny or frustrating, as they may be- unfolding around them. Let’s not even get into how two people come to the point of getting married and what forces, celestial or earthly brings them together. That’ll be walking on the egg shells! So we begin when things are a bit more final, that is engagement ceremony. It’s probably the first formal event in the big fat Indian wedding show. Welcome to the Big Fat Indian Wedding Show! It’s like a little preview of things to follow or could also be related to a rehearsal of a wedding where bride and the groom sides send their dignitaries and assess the situation on both sides of the border! Not yet fully acquainted, they even sit on either side of the said imaginary ‘border’. And so goes an exchange of bantering fired back and forth. In certain wedding arrangements, it’s also a kind of a unanimous agreement to further and independent correspondence between bride and groom to be. Although ‘exchanging the rings’ is central to the ceremony but a lot more exchanges (materials and non-material) happen between the families and that continues long after the wedding is over. Our weddings are all about details and this starts right here. Either side is keen on the ring you give & receive. Mostly, it’s fancy gold thing. The bigger, the better, because we don’t trust our life’s savings with anything that’s not glittery or yellow enough! Oh no!! That’s blasphemous. When we exchanged our latter day ‘silver coloured rings’ rather than gasping in awe or wowing or even smiling appreciatively, some of the elders casted big shadows of doubt on their not-so-inscrutable faces. ”Who knew silver would overtake gold, he he?” was the reaction. We preferred the speculations to weigh the silver way, rather than trying to explain otherwise. Once this small but significant event is over, the bride-to-be and the groom-to-be and the bride-to-be’s parents and groom-to-be’s parents and all the relatives and cousins on both sides start running amok to bazaars, shops, tailors and masterjis, caterers and tent wallahs! Things change overnight. Its almost like the earth was recreated. The bride-to-be looks radiant despite late night long conversations. While you get into a bridal makeover routine the house is in for a makeover as well! Everybody is extremely nice to you. Everybody means everybody. Mum, dad, your neighbours, your relatives and cousins, the brother who hitherto, was ready to lock horns with you at the drop of hat, shopkeepers smile generously and graciously and offer tea/coffee, the masterjis get their best men to work, they even give your clothes on time!! God! it’s an awfully long list things that turn nice(r)). So nice, that it ignites a flicker of doubt in you, ‘so, is being married going to be that hard, huh’?!?! Shopping is perhaps the craziest part of wedding. And the best one. And the longest one. The best part being no one says the ominous ‘no’ to anything. Nothing is too big or too small. You get to call the shots on everything for this brief but perhaps the most beautiful period of your life. It comes with it’s downsides. You’d go to buy stuff but end up losing your phone or money or bag and are on the verge of losing your mind. Or sometimes, as in my case, the bride itself! Oh yes!! That happened. On a shopping trip to Delhi, my shoes came undone in a crowded bazaar street and I took just a couple of seconds to get them together but when I looked up, they were gone!! A party of five people, who lost the person they were shopping for. It took me a while and to make a call, for them to realise that I haven’t really been walking with them. God! Has anyone ever lost a bride?? My shopping expeditions have been anything but ordinary. After a first few shopping trips, pre-engagement, my mum gave up saying, ”that’s it, I’ll be needing a wheel chair to take me around the city for wedding shopping!” She even suggested we rent a house in the local market area!! Even now, when we (mum & I) reminisce those days all she recalls is looking for a chair to sit. ”All I remember is I was sitting”, that’s what she says. Verbatim. We’d go to buy one saree but come back with seven. There would be a peach coloured one that I always wanted and then I would find the ‘right’ kind of yellow and then we’d find a ‘Indian ambassador’ saree! Of course, you have to buy all of them. We’d forget to pay or pay and forget to collect the stuff we bought. Then there would be a detailed analysis of merchandise sprawled on the bed, for hours over cups of tea (with a lot of ‘careful! don’t spill it on the saree‘). There were round table meetings, making plans, next shopping lists and some major dress decisions. This goes on for a long time until you finally get on the hedonic treadmill. Everything revolves around the word ‘wedding’ as if the sole purpose of life is to get married or help someone get married. We went to an upholstery store and my parents mistook the word bedding for wedding! Can’t blame them. Clever salesman prefix the words wedding or bridal to everything they sell. There’s bridal henna or mehndi, bridal regime, bridal ‘exercises’ (for God’s sake), bridal diet, bridal photo shoot, bridal dress. The word ‘bridal’ gets rooted so much so that they even call it ‘men’s bridal dress’. We still laugh our head off on that. A snippet of our rose tinted day! 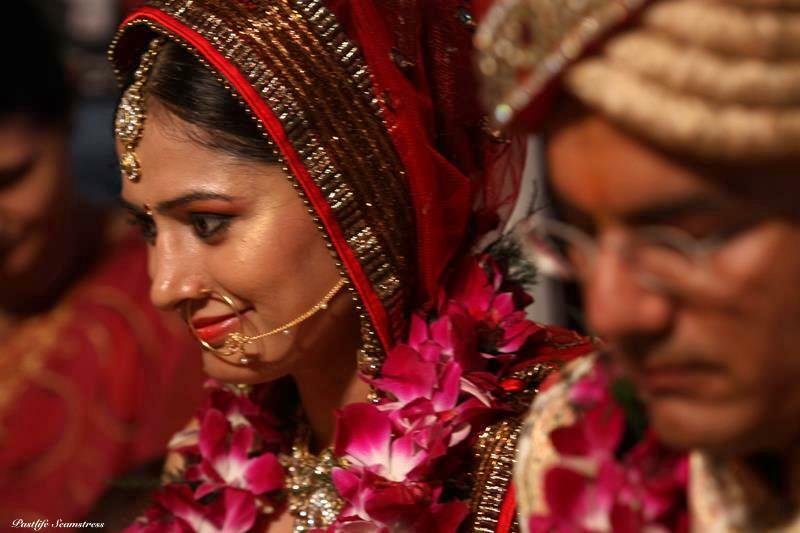 Brides invariably glow despite late night long conversations! Indian wedding is a big wave that washes over all the immediate family and friends while even the far away ones cannot escape without a few sprinkles. Applying Newton’s third law, they get back at you, pouring all the excitement on you but they don’t always make it. Not all of them. And you know it, even so they don’t want to disclose it to you. But it’s fun to share all those moments with people who have been in your shoes and with those who would soon be. Sometimes all the festivities and preps get on to you and you want to be over and done with. But at the same time you would hate it if someone else admits it to you! You feel bad for your mum who looks tired, sleep deprived and so happy all at once but won’t take a long look at you for it makes her throat lumpy and eyes glassy. You want to hug your dad who is always found with a phone in one hand and a lifetime of work in form of his check book in another. Happy to give it all away. Weddings are also about discoveries. Discovering your dad can shake a leg. Discovering your seemingly mellow aunt can be a drama queen. Discovering your distant cousin is actually teary eyed to see you leave. Also discovering a new found respect for sanity of people opting for simple private ceremonies. It’s also the time you discover a ‘new’ side of your friends. They throw some of the cheesiest leg pullers at you and pull out some of the kinkiest dance moves! 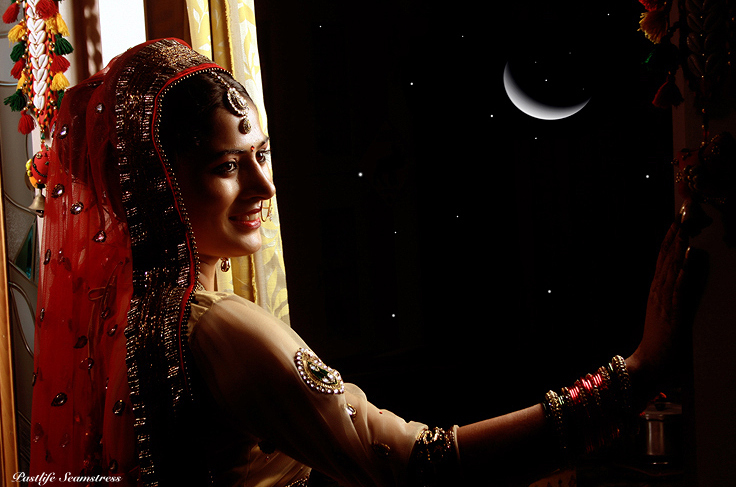 Indian weddings make one of the most beautiful and kaleidoscopic ‘peoplescapes’. Bright beautiful colours, happy faces, uninhibited laughter, hearty eating, dancing like nobody’s watching, hands always ready to give you a brushing of blessing. What rounds it up is the emotional upheaval of tears, the joke that crossed the line, some bored faces, some ogling eyes, the person you forgot to invite and the ones who invite themselves in! Sometimes, they are the ones who steal the thunder at your wedding! 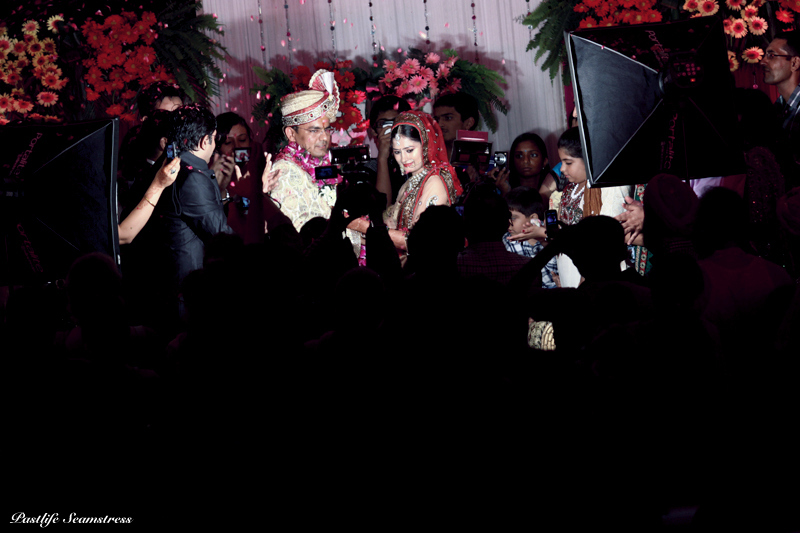 Indian weddings are not just about the bride and groom but also about the who’s who that shows up! 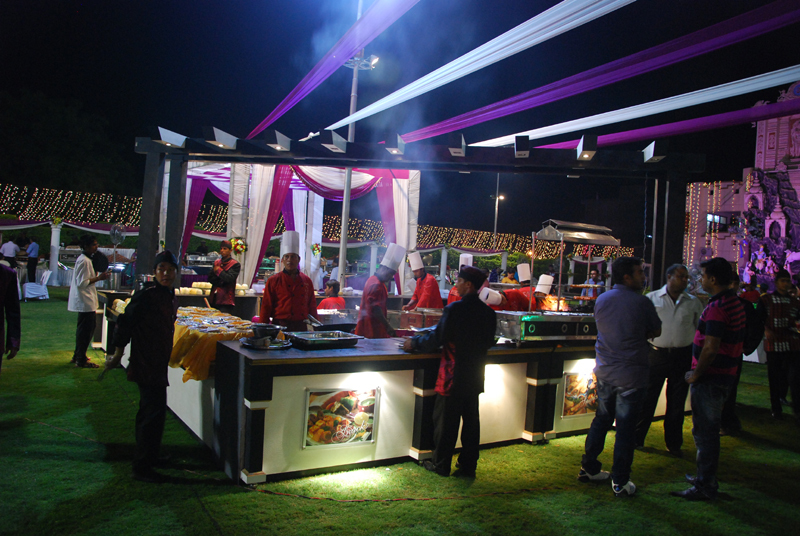 Food at Indian weddings is as important as bride and groom, if not more. Of all the people who come to attend the wedding, few come to meet the bride and groom, even fewer know who the bride and groom are and the rest don’t care as long as there is good food. So, everyone meets the caterers for sure. Yonder year photographers have captured people often and enough, with their mouths stuffed and red in embarrassment and plates full beyond their capacity. A typical Indian kitchen probably turns out more number of dishes than any kitchen anywhere else in the world and yet we find the same food (by and large) at all the weddings and YET WE ENJOY IT! At least, I do. Prudently, even our pepto-bismoled NRI cousins and sherwani clad ‘phoren’ friends do. Ironically, the basis and cynosure of this big food festival miss out on it, big time. I did that too! So food is paramount at an Indian wedding. Even days before the wedding, the kitchen burner is never turned off, there’s always chai brewing and sweets and savouries circulating around the house, after all it’s shaadi ka ghar (bride or groom’s house)! 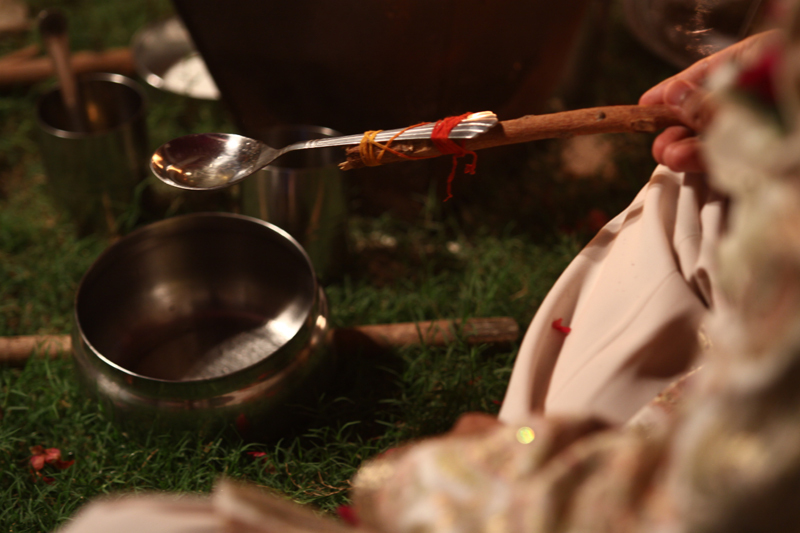 Food is not just eaten but prayed with (like ghee, coconut) and played with (e.g. : turmeric, yoghurt) and also given away as wedding favours. 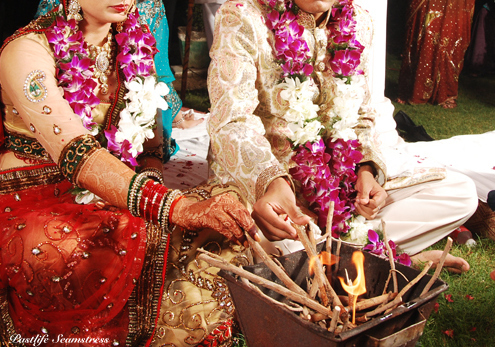 The wedding itself is metaphorically compared to a traditional Indian sweet – ladoo as ‘shaadi ka ladoo’. The saying goes, ‘the one who doesn’t taste it regrets and so does the one who tastes it’! Well, does anyone have a clue as to what goes on in there?? For a night a nondescript wedding venue of your city turns into an amusement park of the year with children running wild, babies crying, food stall hopping, old friends, friend’s of friends catching up and sporadic dancing to a illegally loud ‘DJ’! While there is a whole list of rites of passage (beginning in Kashmir and ending in Kanyakumari, the list, that is) the main ritual involves exchanging seven vows in Sanskrit & circling dangerously close to the divine fire trying not to trip on other people flocking to watch. While sitting near the fire may be rather comforting in a winter wedding it is anything but in the august month of August, when we tied the knot. While sweat dripped off our faces like a faucet left open most of my concentration was on trying not to wipe my face and end up looking like a botched canvas. Concentrating also helps in not falling over backwards and/or face forwards in your cumbersome wedding dress weighing an average of ten kilograms when you are asked to sit and stand several times. And every time you make it without making it to ‘funniest wedding videos’ on Youtube you let out a sigh of relief. 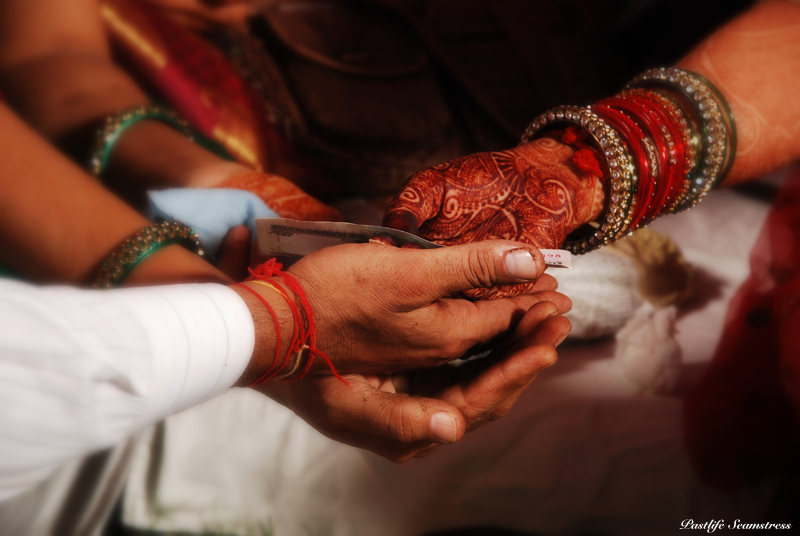 Interestingly the euphemism of ‘tying the knot’ does not come from India, we literally do it! As much as it is watched with awe and intrigue, most of the ceremony flies over the head, shooting straight past like a bullet narrowly missing the target. The seven vows or Saptapadi ritual. 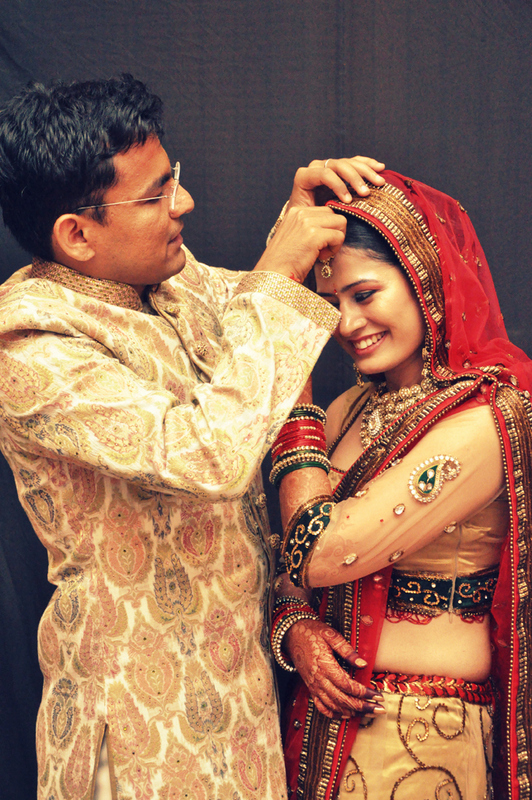 Kanyadaan ritual or giving away the daughter. 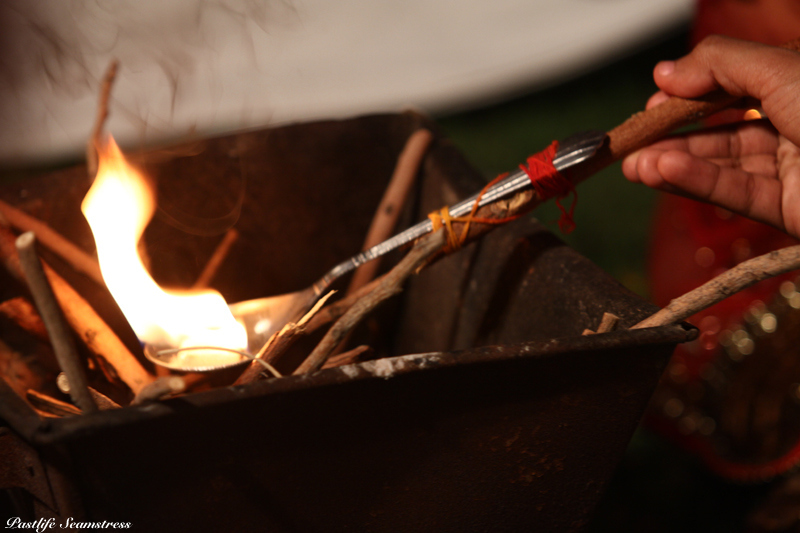 The Holy fire or agni of Yagya. After the happiness graph drops to sub zero at bride’s send off it slowly begins to hike as people catch up on sleep, caterers and planners are paid off and our super enthusiastic photographers coming knocking with ‘sweet memories’ album. While one is happy to see the back of some guests there are others that are sorely missed. After an event as big and as fat as an Indian wedding, there’s a lot of scope of blues of all shades! The festivities, song and dance, food & frolic which in so far had become a way of life ends abruptly one evening. As the bride and groom walk away into the happily ever afters (and into more post wedding ceremonies), little planets (read: friend & family) are suddenly thrown off their orbit for the loss of their ‘suns’. And then as we leaf through the wedding albums and wedding videos (which in most cases are watched first and the final time until they are left to gather dust) the whole party comes alive again! Our weddings are big and fat with a capital ‘B’ and capital ‘F’ perhaps even the simplest of them all, while in some ways necessarily so and in other redundantly so. Although we may or may not agree on what’s necessary and what can be called de trop but we can all agree that it is one special all important event that you can’t miss being part of, at least once in lifetime. Event of this scale AND largely unrehearsed, unscripted and extemporaneous is what makes a Big Fat India Wedding – so special, so beautiful! 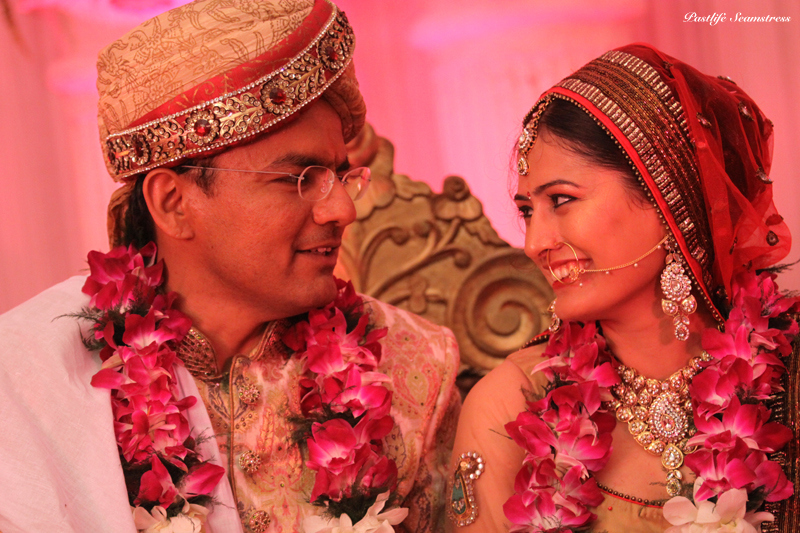 While attending and experiencing an Indian Wedding is something that cannot be lived vicariously. The good news in that while you wait your turn to get invited to one, you can catch the gist of it through Bollywood movies. Frankly, it’s a job as tough as any to pick movies sans any wedding sequences. I’ve picked up some that best bring out the nuances, song, dance and party scenes of a desi wedding and has the same as its central theme. Wow!! !What an interesting description!! !All the scenes are once again refreshed.Nice come back after your sojourn.Keep rocking nd stay blessed. Ha ha… thoroughly enjoyed it!! You ve nicely captured the true essence of an indian wedding.. and I completely agree with you..;) one of your best posts so far.. Most amazing!!! 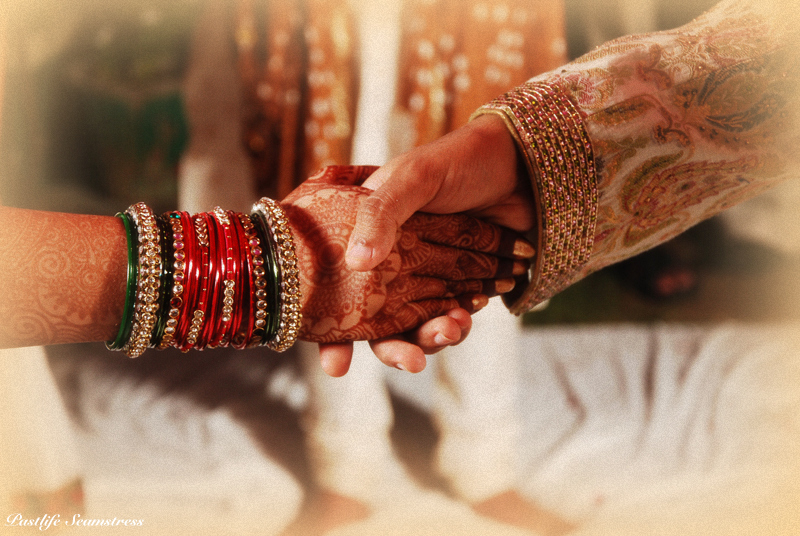 Wishing you both togetherness till eternity!! !